The Pinehills - Symington Woods: Now for Sale! The recent sell-out success of the townhome neighborhood Boatwright’s Loop, prompted a new neighborhood of stylish Whitman townhomes - Symington Woods! Award- winning Whitman Homes has been a builder at The Pinehills since 2000, designing and building more than 200 homes in eight neighborhoods. Today, Whitman offers a range of new housing choices at The Pinehills that include single-family custom homes, cottage homes, and attached, single-family townhomes. 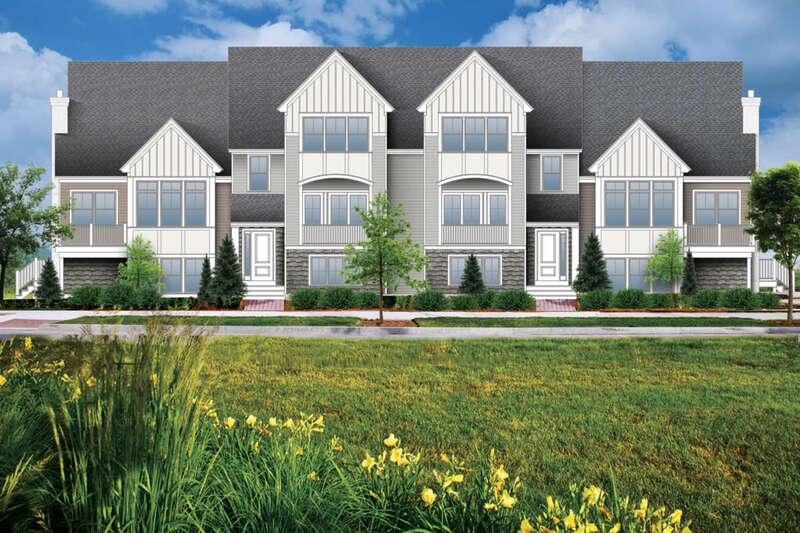 Located just off Clark Road via Mainstone Boulevard and Symington Drive, this neighborhood will soon feature 23 attached, single- family townhomes consisting of 2 bedrooms, 2.5 baths and attached 2 car garages. Pricing starts in the low $400s. Similar to Boatwright’s Loop in architecture, Symington Woods has a great location just a short walk to the Village Green shops, post office and amenities. Interested? Visit the model home at #105 Boatwright’s Loop for details and a Symington Woods information package. Or call 774-773-3998.